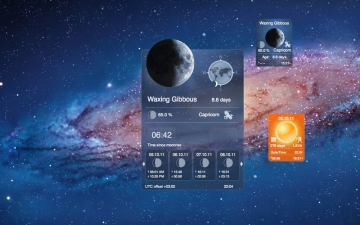 Moon Phase Gadget | Mac App Storeのアプリ検索・ランキング BuzzMac! 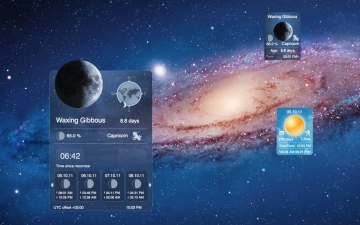 Moon Phase Gadget is a set of stylish Moon and Sun gadgets for your desktop. 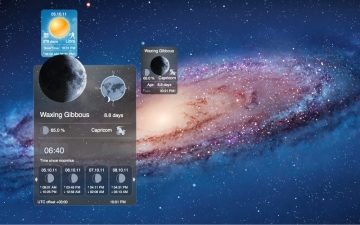 Moon Phase Gadget is a great addition to the magnificent Deluxe Moon HD application. - Large Moon gadget with precise moon phase times. 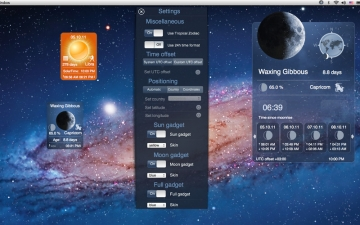 - Sun gadget with sunrise and sunset times. - Small, stylish moon gadget with main Moon information. 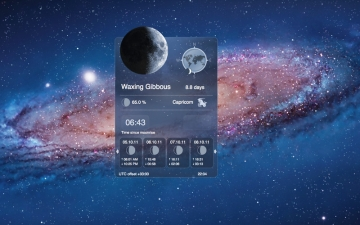 - Moonrise and moonset times for your location on large gadget. - Moon countdown timers: amount of time since moonrise and until moonset. - Current moon age: how far along the moon is in its full cycle. - Sunrise, sunset and zenith times. - Number of days since beginning of the year. - Zodiac sign the Sun is in. We appreciate your input. Please help us make this application better with your feedback – if you like Deluxe Moon, write us a review on iTunes. Your support would greatly help us make the application even better!